When you hear your favorite song on the radio, you want to crank up the volume. 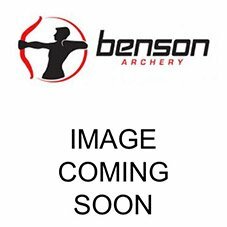 Likewise, when you shoot your bow, you want to crank up the speed. The Quest Amp is long on performance with speed to match. With its all new Stabilite riser, the Quest Amp is completely inclusive and has the greatest draw weight range available without any loss in efficiency. 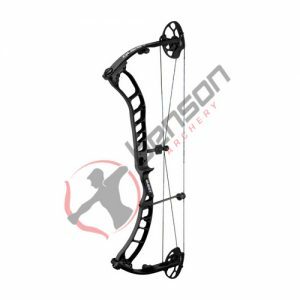 Add the Rotation Adjusting Drawlength (RAD) Cams, a system that can fine tune your draw length without a bow press, and you have a fast bow with plenty of control. Accuracy starts with a stable platform, and a forged CNC machined riser is the first step to the perfect bow. All Quest bows feature a forged 6061 aluminum riser, creating one of the most durable and accurate risers on the market. Our patented process provides extreme durability and incredible image quality throughout every inch of your Quest bow. CNC-machined limb pockets that pivot to create a stable and consistent platform. This high-performing material creates a string that has no stretch or creep while producing one of the most reliable strings in the industry. The newly-redesigned string suppressor creates a maximum range of adjustment while dampening string noise and vibration. The Quest Roller Slide is designed with the least amount of performance-robbing drag and speed-restricting friction on the cables of the bows. 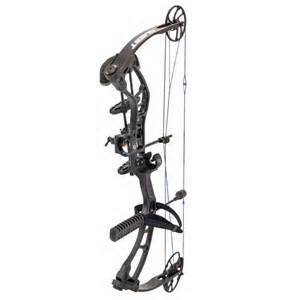 These cams provide easy tuning of the bow for maximum comfort while still giving you the speed you need. Quickly rotate the module on each cam to increase or decrease the length of draw for a perfect fit.